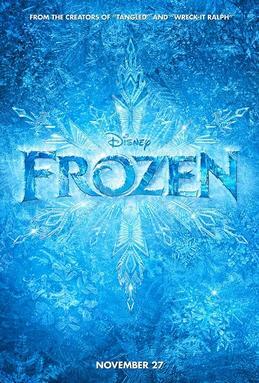 Both the Animation Scoop and Cartoon Brew websites have the first five images of Frozen, Disney’s next animated theatrical feature, based (loosely) on Hans Christian Andersen’s The Snow Queen, to be released November 27th. The posts include reader comments; go ahead and add yours. You can’t tell much about a theatrical feature from just five pictures, but it looks like the male hero will have the usual semi-anthropomorphized steed; in this case a reindeer rather than a horse. There is also a snowman who looks suspiciously anthropomorphic. P.S. : A few hours later, Disney posted the first teaser trailer, which both Animation Scoop and Cartoon Brew have. Yep, the snowman is definitely anthropomorphic. The Sunday Star-Times reports that Disney and Walden Media were denied use of reindeer in New Zealand for pulling the Ice Queen's sled in The Chronicles of Narnia: The Lion, the Witch and the Wardrobe. Filming of the $170 million production started last week. The animals, which also pull Santa's sled in one scene, are now likely to be created by Peter Jackson's Weta Workshop special effects department. Film-maker Lamp-Post Productions hit a speed bump on the road to Narnia when it applied to the Ministry of Argiculture and Forestry for permission to bring in the reindeer and eight wolf cross-breeds. The ministry was happy with wolves in the Auckland studio - which has been set up on the former Hobsonville airbase - but drew the line at reindeer. In what is "traditionally the busiest time of year" for reindeer, US environmental scientists warn that global warming means, oddly enough, too much ice in the north. Rain falling in the arctic causes a layer of ice that hooved mammals like caribou, musk oxen and reindeer can't dig through to get to the lichen below, their main source of winter food. Just one of the many unexpected results of the current climate changes. Concerned over a New Jersey state law which bans the importation of deer and elk, Leanne Bellouny petitioned the state with her 1st grade classmates to make an exception for Santa's reindeer. The DEP, after much deliberation, ruled that the law applies only to reindeer on the ground, as "flying reindeer are just fine and are always welcome in New Jersey"
This story at Ananova tells of a reindeer, who had been part of a Christmas display, who escaped and was shot by a local hunter. Looks like Donner won't be playing anymore reindeer games.